Malcolm Conlan, a "concerned British Citizen who loves the Philippines and Filipino people," defended the country against the Aegis ad. 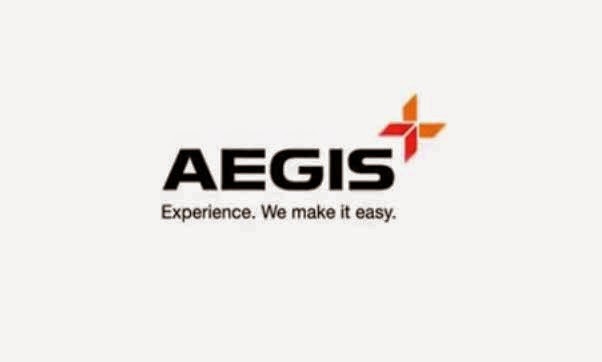 Aegis, not the band but the business process outsourcing (BPO) company, recently released a TV commercial that cited several reasons why Malaysia is a better place to invest than the Philippines. 'Expansion' and 'Growth' are words with importance in the present times. When companies look to grow and expand geographically, they make a decision. A choice of where they want to see themselves next in the global map. Making that choice isn't easy. It never was! Because after all the hardwork that the process entails, the last thing you might want to have is a not-so-supportive business environment at the place where you choose to be. An environment where there is inadequate infrastructure and unfriendly climate for smooth operations, less security, and lack of government support. An environment that might hinder your interactions with clients, customers, and partners. To make things worse, the place could be falling in the Ring of Fire thus being prone to natural disasters like typhoons, cyclones, etcetera, impacting the operation of businesses and bloating up the cost of living. Unstable businesses generally lead to higher attrition rates which makes availability of suitable talent tougher. For the same reason, Malaysia is becoming that preferred alternate to the Philippines and is fast emerging as the ultimate investment destination for multinationals, boasting of a world-class infrastructure that not just oversees the future but also houses innovative spaces and systems that blend tradition and technology. Malaysia is investor-friendly, owing to flexibe policies of the government and less bureaucracy making processes easy and administrators accessible. The place is not just stable when it comes to governance, but also in terms of its climate as its tropical temperature makes Malaysia a safer zone. This also lets us be a part of Malaysia's drive of becoming a developed digital economy by 2020. Because we understand that how you grow depends on who you grow with. Aegis earned the ire of Filipino netizens, who called the ad "insensitive," "inappropriate," and a "bad advertising stategy." Call center agents/representatives, bloggers, and social media marketers immediately posted their reactions, some of which were violent. One of those who expressed thoughts on the issue is Malcolm Conlan, founder of Fil-Event.com, a website which was "established to help promote cultural events in the Filipino community around the world." If you have made the decision to leave the Philippines, by all means leave, how dare you however highlight what you percieve as reasons why others should not invest. You mentioned security. Well, in my 33 visits to the country, not once have I ever been troubled. In fact, in my opinion the Filipino people are one of the most caring, hospitable and hard working people on the planet. I am very sure that you probably have many highly skilled Filipinos in your workforce, so why insult their country? Yes the Philippines does have its own issues, but doesn't every country? Why should a foreign investor have any right to find fault with a nation and people it has chosen to invest in? The Philippines it's 7,107 islands and diverse people offer so much to the world. It is a country and people of natural beauty. In a separate status message, Conlan thanked Filipinos around the world for sharing his post, saying he hopes Aegis will apologize. "The Filipino people do not deserve to have their country insulted this way, shame on this global company Aegis, I am calling on them to withdraw the video," he added.